These potatoes will become a new favorite. 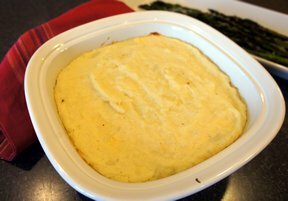 The buttermilk adds that creaminess and bit of zing to your basic mashed potatoes. Perfect topped off with a bit of gravy. 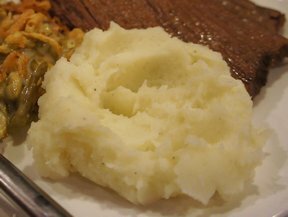 Boil potatoes on stovetop until fork-tender. In a small saucepan, warm the buttermilk. Add butter, stirring until melted. 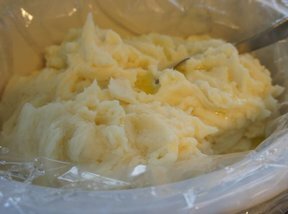 Mash the potatoes and mix in warm buttermilk mixture. Season with salt and pepper. "I loved these potatoes. I used less butter with these than my normal ones. 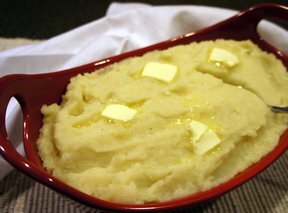 I didn't need any butter or anything on top of these potatoes."